This is my very first phone , i miss it so much ! 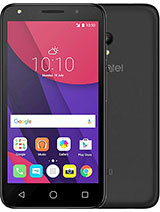 this phone may not be up to date and have all the functions that new ones do, however it was cheap, is practical, has lasted three years, and has some handy qualities. it's very easy to use and cute. i love it. I have this OT-E265 phone which I used to use some years ago. As my present phone is damaged, I took this one out just to find that I had to punch in a code to start it. And guess what, I have forgotten it. How do I override it so that I can use it. i have a problem with my ot e256 .. there is a small red message icon at them top of my screen, i am not recievin text messages and i would like to no how to fix this problem. i think thats why the red icon is up! Barry King, 05 Nov 2005Had alcatel phone in the past, a 735 which was good, so buying the OT-E256 I thought was a goo... morei think ur sim is at fault i have the same fone and i can send txts i send about 10 a day lol. if u have a call-abroad or a cheap sim, i think that's the problem. i once had a call-abroad AND cheap sim in the same fone and i couldn't send txts. i agree its a pain in the neck. Don, 31 Jan 2006I bought this phone from Orange, and it is ideal for my needs. Only one problem - when accessi... morei have an alcatel ot-e256 and it does the same thing. the phone has been busy for months! 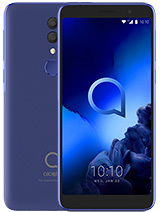 I asked at the carphone warehouse about it and they said it would cost around £30 to fix it, which is daft coz i can buy a better phone for cheaper! it also has a bad signal and dreadful battery life. and mine won't charge properly. and the ringing volume is so quiet even on maximum volume. i'm getting a sony ericsson k310i this week, so i can trash this silly old phone!!!! I've been looking at your prob and I think I know the answer. 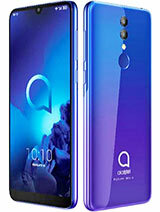 When I previously owned the Alcatel OT-E259 (http://www.gsmarena.com/alcatel_ot_e259-1415.ph­p) I had the same problem. When I first turned the phone on in the morning, or after a charge etc. and I tried to access the Directory, even after my network (T-Mobile) had been found, it would display 'Phone busy' too. I left it about 15 mins to recover and tried it again. I could open my Directory. I understand this is for some an unacceptable problem for some, but it's the only solution I know. I only have basic usage anyway. PS: For those of you who might be wondering, I don't work for Alcatel or T-Mobile or any other company. You might think though, just because of the words I use. Just noticed those looking for a security code. 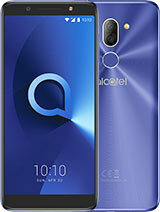 I have been a previous Alcatel user, quite a good experience. I think the phone's default security code is 0000 (Unless you've changed it). For the Motorolas, they seem to have six digit code, don't know what that's all about. But yeah, if it's 4 digits, then most likely 0000. But Alcatel recommends you change it, just incase. I think this is accessable via Menu>Settings>Security. I am considering a downgrade from the Motorola W377. It's all too much for me! I'm just a simple user! Think I should get it for Christmas? is it possible to add words to the t9? I am interested also in finding a User Guide in English. I can't seem to find one in pdf anywhere and the Alcatel website just doesn't work!!! great little phone but i cant get any volume or vibrate when receiving a text message, tried alsorts to get a tone but just cant do it!! please help!! when receiving a call it works fine. I Have one of these and ive had it for a a year now since it came out in the UK. The battery life hasnt changed a bit. Its always been great. Lasting for ages, well over a week. I like this phone. I like its design very much and the fact that its very simple. Long lasting battery??? Are you kidding me? I have 2 days battery if I don't use it at all. If i speak, in 2 hours it's gone. It has nothing, no wap via CSD, let alone GPRS. Nothing nothing. This phone is just for making phonecalls from time to time and for tricking thieves with it's design. 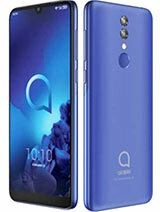 This is the cheapest thing Alcatel have done till now. 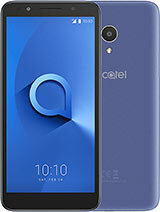 Total of 63 user reviews and opinions for alcatel OT-E256.